Are you still doing nothing to increase you email list? In this article I will tell you why it is important that you work to increase the subscribers of your list and how to do it. Email Marketing is a very powerful tool for your business and subscribers are the main ingredient in that recipe. .
Why you should be interested in getting email subscribers? Subscribers are people who have visited your website or read some content on your blog and decided to trust you with their email address so that you can send them new contents, offers, promotions, etc. Why is it so important to get subscribers? A person who is very interested in your content is a potential client. When you receive new content in your email, a relationship of trust is established. This will make this person much more likely to hire or buy your products than someone who does not know you. Although having lots of followers on any of the social networks is social proof. A well-mailed mailing list is much more effective. 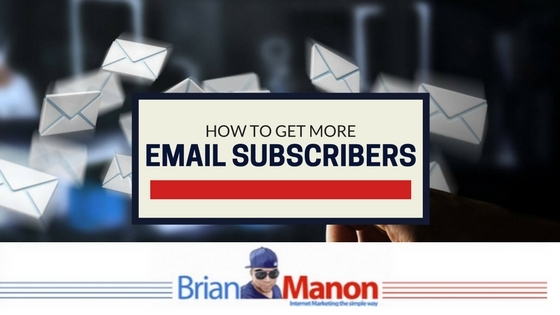 Every time you send an email to your list, you are assured that almost 80% of the subscribers will receive it. In social networks, the free reach of your content among your followers is less than 20% and you have to pay to be able to increase it. The effect of a social media site is very limited in time. If your potential client is not connected the moment you submit your content, they will probably never see it. But an email will be in their inbox for hours or even days. The return on investment in Email Marketing is very high compared to other forms of marketing . It helps maintain engagement with your target audience. It promotes continuous and bidirectional communication.Helps you get on the minds of people who can potentially become clients. Most people prefer to receive promotional content via email rather than through social media. In social media the promotional content is perceived as much more invasive. Are all email subscribers worth it? We have already seen that subscribers can help you grow your business, but are all subscriber worth it? If you want your marketing campaigns to be really effective, you must segment your list. . That is, you are interested in having subscribers who are really interested in your products and services. It does not make sense to create your list with people who would never be interested in what you offer. Know very well who your target audience is. To do this you must figure out who your ideal customer is. Deliver the content in the format and at the times that best fit the needs of your target audience. How to turn your readers to subscribers? Here are some tip that are quite effective when it comes to helping you grow your mailing list. Create high quality content. If your contents is bad, nobody will subscribe to your list. You have to create content that adds value to the people who read it. If your content is really good and answers questions or solves a problems with your readers, your list will grow very fast. 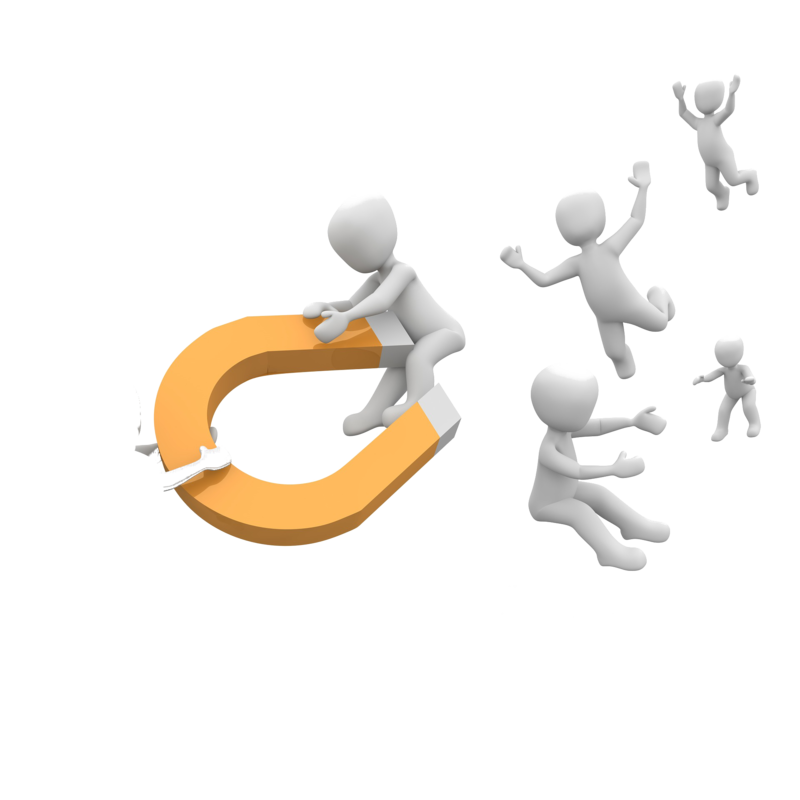 Offer a Free lead magnet. A lead Magnet is a virtual product that offers information. It can be an ebook, a white paper, a series of videos, a checklist … The fact is that it has to be interesting and informative. You will notice that many bloggers offer info-products on their websites as soon as you land on their page as an incentive for you to subscribe. Exclusive content. Many bloggers offer exclusive information to members of their lists. This is information that they do not share in social networks nor publish on their blogs. The only way to get it is if you’re on their list. Offer downloadable content that you need to subscribe for. Many bloggers offer a downloadable bonus at the end of an article that you can unlock by following them on social media or subscribing to their list. WordPress plugin Social Locker lets you do this very easily. Exclusive offers for members of your list. Another way to encourage subscription is to offer exclusive deals or promotions that they can not get otherwise. Contests or sweepstakes. To participate, people need to subscribe to your list. The prize has to be valuable enough to be worth it. Really effective subscription forms . Not all subscription forms work well. In the next section we will look at it in greater depth. Sidebar forms. It is the most widespread and least effective form. Many people have learned to ignore the sidebar content of blogs because it is often full of ads. This type of form does not draw much attention and its conversion rate is very low. Forms at the end of the articles. This type of form is more effective because the reader has just see your good quality content and now you are offering them an opportunity to continue receiving this type of content in the future. Its advantage is that it is non-invasive. Fixed Bar subscription form. This type of form can be placed at the top or bottom of your website or even within the content. It is non-invasive and its conversion rate is usually higher than the forms we discussed earlier. Pop-up forms. This is the form that appear suddenly blocking the page content and are very difficult to ignore. They are the most invasive method and least liked by readers, but it is also the most effective method. The difference with other types of forms is abysmal in terms of number of emails collected monthly. It is also more effective if an incentive is offered. Landing pages forms. A landing page has the advantage of providing an page without any distractions. We send the potential subscriber directly to a page in which only the form and the incentive are. It is also very effective. This is something that many companies forget. Email marketing is not exclusive to online businesses. You can collect emails if you have a physical store, an office where you offer your services or give training or conferences, you have many opportunities to collect emails for your list. Larger companies collect emails from their clients through loyalty cards or by offering special promotions. Do not miss the opportunity to get a client’s email to keep the communication active. When we want to create email campaigns with a marketing objectives, it is essential that we use a email autoresponder. A email autoresponder will help to ensure that you comply with current legal regulations, it will allow you to automate e-mail and customize them. It is an indispensable ally that will also help you measure the success of your campaigns. Create Automation emails: Campaigns, email when you publish a post, etc. Graphs Reports lets you see the effectiveness of campaigns. Create Automation emails:Campaigns, email when you publish a post, etc. Segregate subscribers based on action. Example: When a person finishes a course and has started a new course, it automatically gives them a tag to identify the change. I used Mailchimp and in early 2016 I moved to Converkit. You can read about why I moved to convert kit here. Hope you enjoyed the article if you have any questions please leave them in the comment section below. I have yet to run a contest on my site, but I am SUPER pumped to try. I’ve got a few ideas and hopefully with a nice pop-up I’ll explode my list. Also, quizzes are a great way to get people to subscribe. I really need to use some of your ideas. I really don’t do anything with my email list and subscribers. But, my list has grown and continues at snail pace! lol Thanks for these great tips!!! Thanks for the tips! Great ideas. This is something I’m definitely working on .